As any conference nerd will tell you, I quickly jumped online to peruse offered sessions and who I could fangirl over! I don’t know about you, but I use the SHRM Schedule feature and just start adding titles I find appealing, then go back later to delve into the speakers background and what their session entails. 3) Making my job easier. I mean, c’mon! Who doesn’t want to make life easier for themselves? #imselfishandIknowit #millennialkid #ihatethewordmillennial. I quickly opened up the session summary with anticipation, but before I continue, I think it’s important to note WHY I’m so excited! Right? You see, I’m currently in the middle of a TA (sidenote: Can I use abbreviations this point in our reader relationship, yes? Ok continue) project at my company, implementing a text-to-apply application which will streamline our hiring, increase candidate experience, and ultimately make my HR MANAGERS LIVES EASIER! At least, that’s the goal, so this session is right up my alley. Jeanne will present what every HR person craves, case studies! AKA, how did they do it, what obstacles did they encounter, what did they learn, and how can I apply it to my situation? AWESOME! I’m also interested in hearing her thoughts on what new job roles will be emerging over the next decade as artificial intelligence is integrated and what skills those individuals will need to manage AI functions. Jeanne presents Wednesday at 11:30am in Bayou AB. While the audience is considered “senior-level,” AI is quickly coming to the forefront and everyone should be prepared! Please plan on joining me in her session and let’s learn how we can better the workplace together. 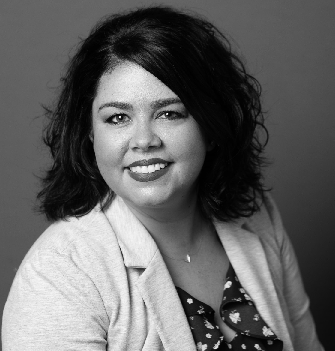 Erin is Corporate Recruiter with MasterBrand Cabinets based in Jasper, Indiana supporting and partnering with their Finance/Accounting and Manufacturing/Supply Chain Operations teams. She is a native to the Southern Indiana/Louisville, Kentucky area where bourbon and horses rule! She started her college career in music, but ultimately switched to Psychology and Human Resources. Earning her PHR prior to graduating, she worked as a Recruiter in nonprofit and quickly realized recruiting was her niche. She returned to school after two years working in “the real world” and earned a Masters in Human Resource Management. After 6 years in non-profit, she worked a year in third-party recruiting before joining MasterBrand in spring of 2015. In her spare time she is very actively involved in her local SHRM Chapter, sits on the HR Indiana State SHRM Council, travels to Cancun as much as possible, and is a certified Jazzercise Instructor.